Tomorrow, March 30th, at 7:00am, I’ll be running in another 5K. 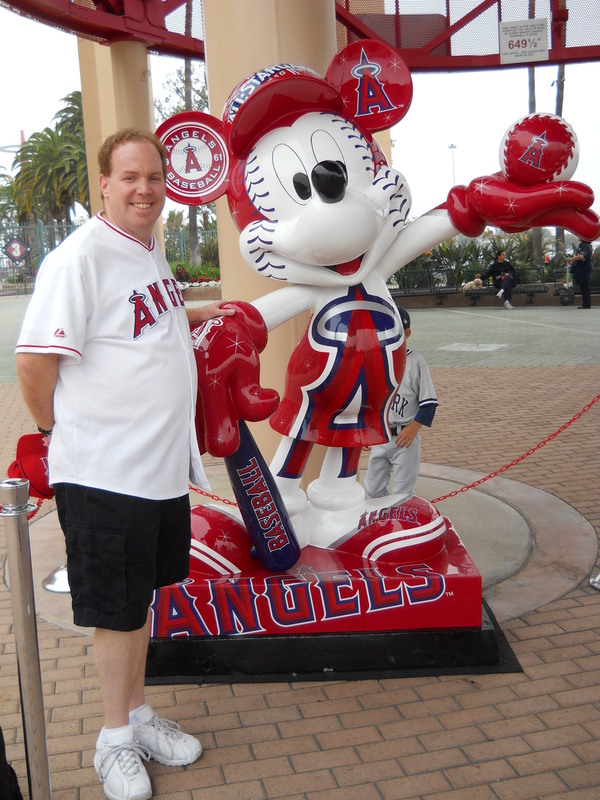 This one is at one of my favorite baseball stadiums…Angels Stadium. Last year, this was my second race and was a pretty fun one at that. The bummer of the race is that there will be no finisher medal. Oh well. 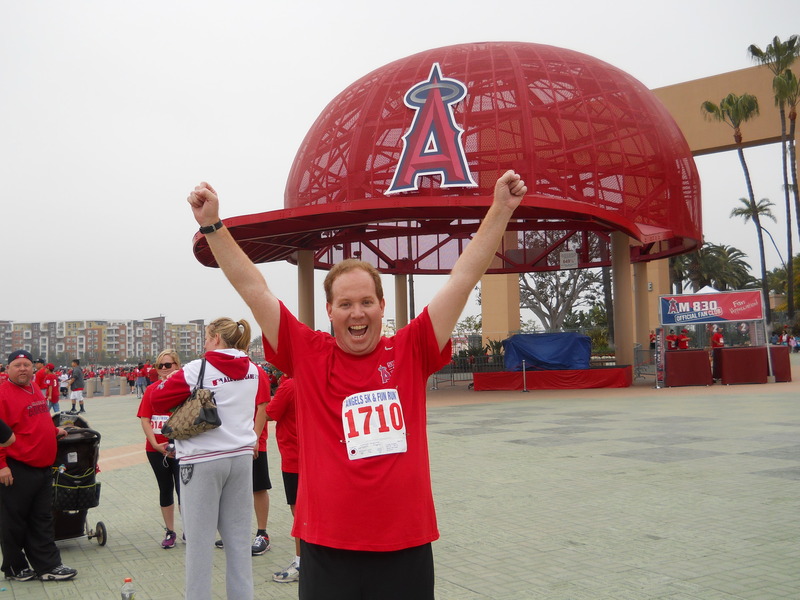 However, you do get to run on the Angels Stadium field! 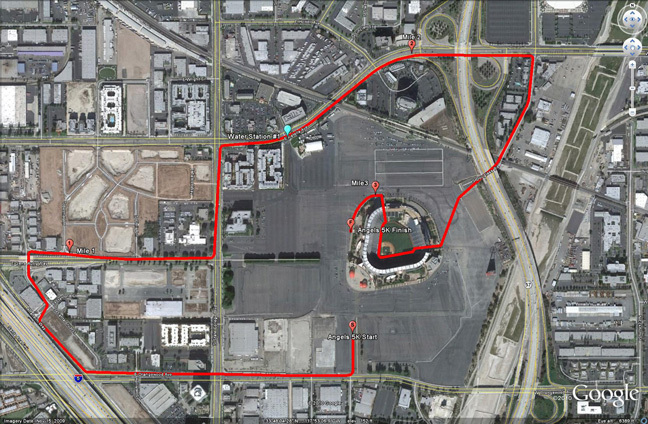 Also, for most of the race, you will have some sort of view of the wonderful stadium. This year, as an added bonus, I will get to run the race with my wife. Here’s a view of the race course. Because the race is on a Saturday this year, I won’t be able to pick up my race packet before the day of the race. So, my wife and I will be up dark and early to head down to Anaheim. We’ll try to arrive around 6am. Here is the schedule. 7:00am – 5K Run/Walk begins! Hoping that we’ll be finished by 8am. Then, I’ll be off to a rehearsal for the Easter gig I have at a church in Long Beach at 9:30. It will be kind of crazy. However, I’m really looking forward to tomorrow! There is still time to register. You can find the information here. If you are planning on running in this, please make note of it in the comments below.